Summer is officially over, but Friday, Sept. 19 was a good day to celebrate one of the last days of the season at Stonecreek Village, across the street from the Delta College campus. The shopping center is where BJ’s, Boudin, HomeTown Buffet and REI are located. This is Stonecreek Village’s third year of hosting free concert nights for patrons to come and enjoy the center and hear music. Stonecreek Village had six total concerts in this series, the last of which was Elton John: The Early years, a tribute to the artist. The concert welcomed a full house. The parking lot was packed. “I think it is fabulous, it is a great turnout and a wonderful night. Where happy every- body comes out to enjoy the music and walk the center,” said Tricia Wilkalis, a Stonecreek Village representative. The blue banners hanging in the front of the center were the only advertising people could see and hear about the center having a concert, but it did a good job. Around 250 people showed up to the free concert. The attendees danced and children played around. Patrons sat and also stood because the chairs were taken. Baker’s Boutique is a little shop in the center that sells cupcakes and goodies and items for people who love to bake. “We always close later then usual just be- cause it brings more customers,” said employee Jessica Pons. 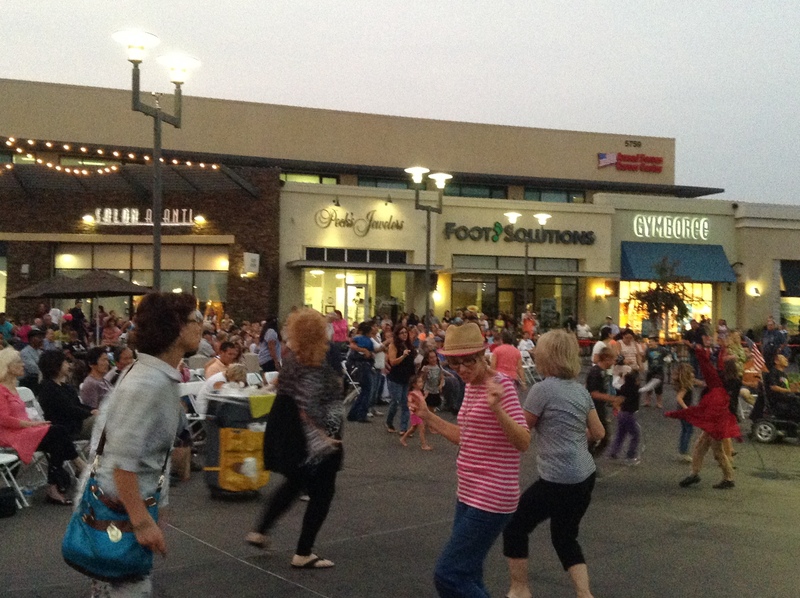 Stonecreek Village also offers free mom fit- ness classes on Thursdays in addition to the summer concerts. For more information visit shopstonecreekvillage.com.